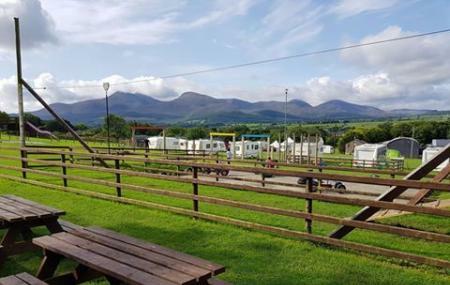 Funny Farm Adventures is an exciting place where a working farm has been turned into an adventure park for people to experience some fun together. The most popular choice here is the Giant Maize Maze where instead of just finding your way out, you need to find clues dotted around. Other activities include Peddle go-kart track, Garden games, Bouncy Castle, Number Maze, Mini maze, Mini assault course, Sandpit, Swingball, Children's play area, Giant slide, Crazy Golf and Splash Zone. There are also barrel train rides for the kids along with mini sand digger, archery, and laser clay shooting. There’s a quaint little cafe where you can enjoy delicious food and admire the view of the majestic Mourne Mountains. There’s truly plenty to amuse all ages. To personalise your visit to the city, you can use an all-inclusive Castlewellan trip planner for the same that will give detailed information about visiting the city. Add comfortable hotels to your plan, choose from the recommended hotels in Castlewellan like Millbrook Lodge Hotel, The Haven and The Briers. Curated Castlewellan vacation packages await! Book the best ones and start turning your dream into reality.Discover various ways for how to reach Castlewellan and complete the booking by choosing your mode of transport. Owners are very helpful. No problems. Great fun idea. Close to castlewellan and newcastle. Little carts for kids to play on, zip line, slide etc. Everything else was closed ( April). Cabins retained heat well. Fridge and heater provided - Very helpful. Unfortunately out of 4 cabins, 3 were occupied by the same group, consisting about 8 kids. . We were stuck in between. I'd preferred to have know that. It did take some of the fun off it, having little privacy. Whilst cabins appear very close together , there was no issues with noise from neighbours, ( inside cabins) . A few points to consider, only 1 fire pit. Outside ( our Cabin) for all 4 cabins. 2 out of 4 cabins had 2 bunks But no space to sit. Other 2 did. ( not great on a wet or windy day). No mirrors in toilets ( for shaving). We Certainly would recommend and worth a try. Really like the idea and would try a different site next time. Perfect location for family and friends!!!! They have the best view in the area so if your thinking of camping and or staying in pods stay here. Amazing for kids. Loads of games and activities. The food is great.